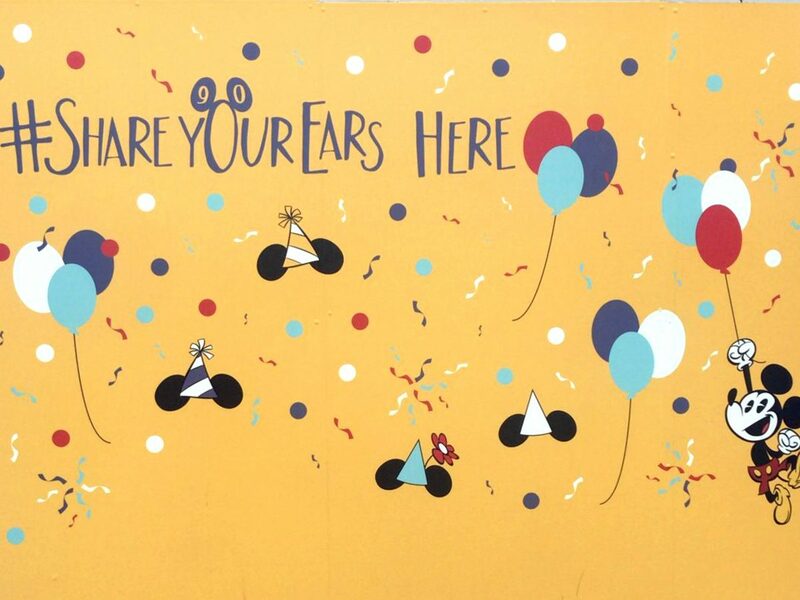 During our last trip, one of this biggest questions we got asked on Instagram was, where are the #shareyourears walls? If you’ve followed us for any time, you know we always love to support a good cause. And so does Disney! 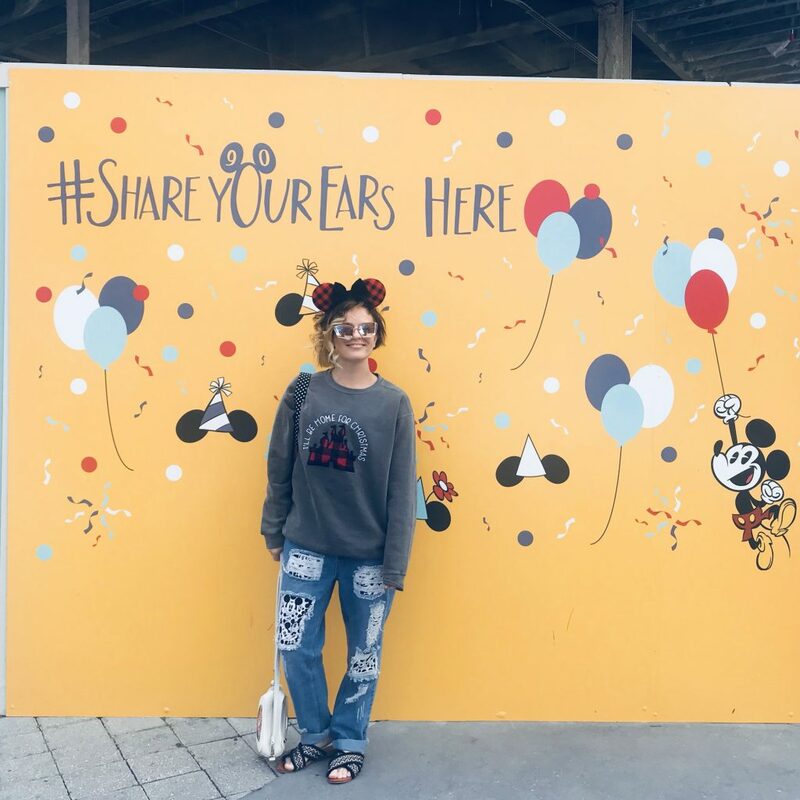 Disney pledged at the end of October, that they would donate $5 for every social media post using the hashtag #shareyourears to Make A Wish Foundation until Nov. 19. 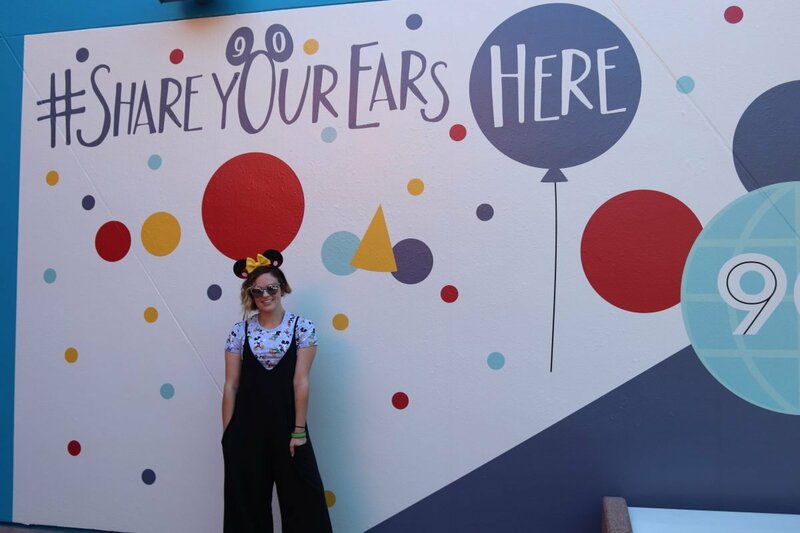 As part of Mickey Mouse’s 90th Birthday Celebration, the Disney Parks actually created fun new walls specifically for this purpose! Unfortunately, we didn’t have enough time to get down there during the bulk of the promotion to fill you guys in on these fun spots. But lucky for all of us, they have extended that time period to Nov. 27, 2018. so even though that is soon, we still want to make you guys aware of this cause. And you don’t need to visit these walls or even be in Disney to help out with this cause! 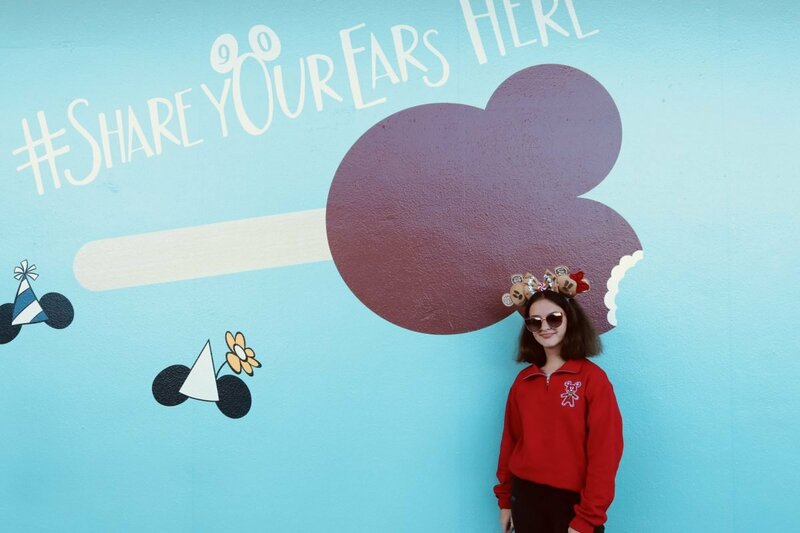 Any photo in Mickey or other “creative” ears will do! 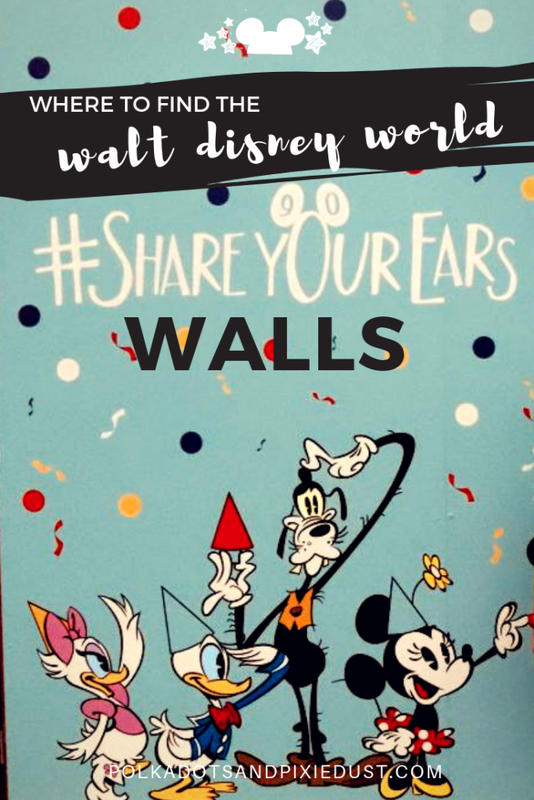 If you do happen to be lucky enough to be in Walt Disney World though and you want to join in on the fun, we are happy to report that these #shareyourears walls are probably our favorite Walls of Walt Disney World! This is probably the most well known #shareyourearswall on social media and also the easiest to find. Remember the famous Purple Wall? Yep, its actually right there. You can’t miss it. 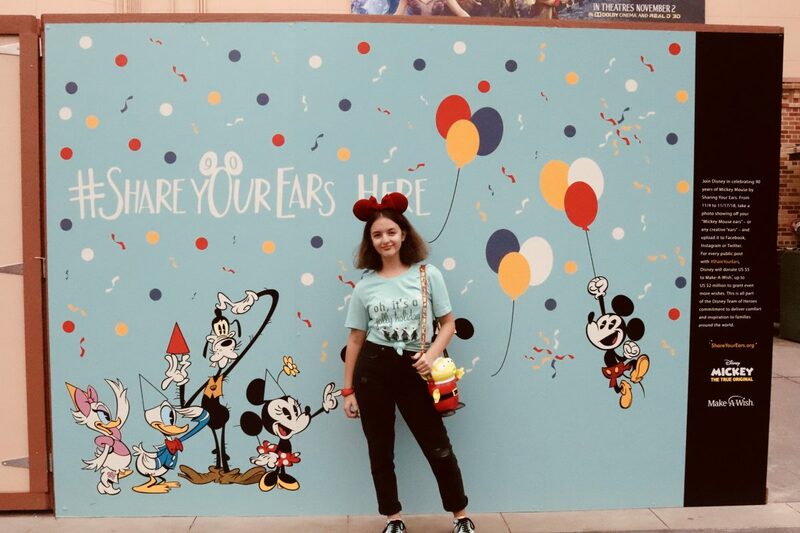 And with a giant Mickey Ice Cream Bar painted on it, there are so many fun things you can do with this photo spot. 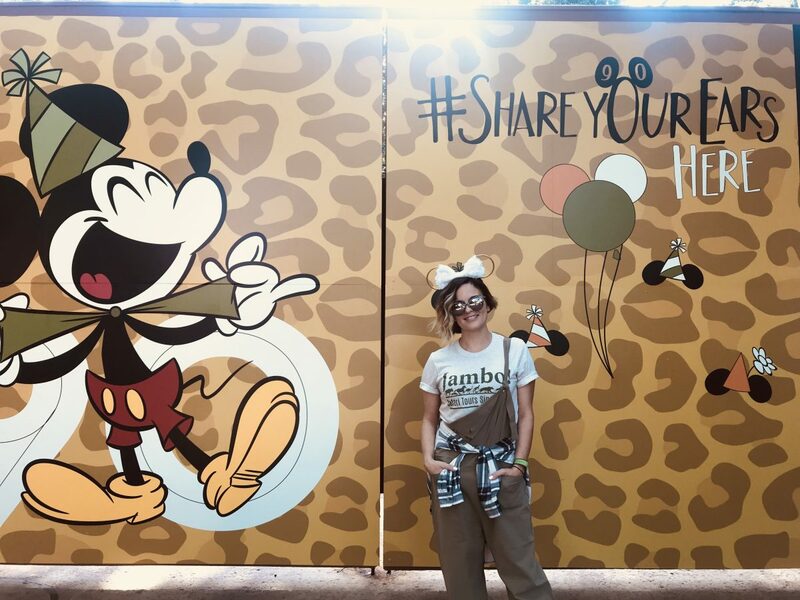 The #shareyourears wall in Animal Kingdom might actually be my favorite. Mickey is just too cute! This one is pretty easy to find, but if its crowded or if you’re not paying attention, you could easily miss it. When you walk into Animal Kingdom, head towards Pandora. As you are passing Tiffins, the restaurant, look to the other side and there it is! Such a fun wall! Head back to Toy Story Land. You were going there anyway, right?! The wall is located just by Joffreys and is located on your left if you’re walking toward Toy Story Land. This wall always had a line every time we saw it. It was actually part of the construction walls, so it’s hard to say how long it will stay around, so be sure to take advantage while its around! This one is actually a bit more difficult to find. I had to stop and ask to find its whereabouts. You will want to stay in future world for this wall. Go to the Journey into Imagination building(or the Figment building as some people call it) and turn right. Behind the building are restrooms and it is located just outside of them. Tucked away from the crowds, this wall is actually pretty huge.